Family Minister Michael Farrugia recently came under attack for his address about foster carers and for his decision to drastically amend the long-awaited Child Out-of-Home-Care Protection Bill. The National Foster Care Association Malta (NFCAM) was in agreement with the drafted bill back when President Marie-Louise Coleiro Preca was responsible for the ministry for family and social solidarity. Mrs Coleiro Preca even took the time to meet with fostered children. However, it seems the association was not involved in its amendment decisions. NFCAM met with the Minister in May after two months awaiting a meeting. They have also requested a meeting with the Prime Minister in March, however no appointment has as yet been given. 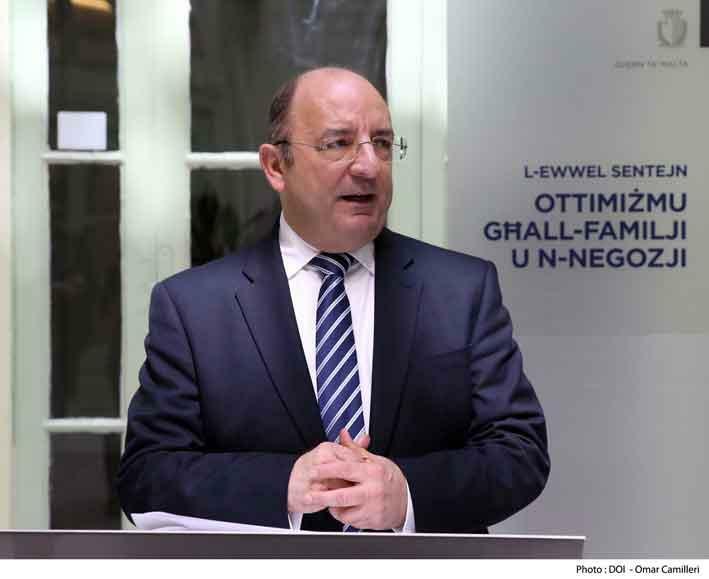 In an interview with The Malta Independent, Chairperson Paul Gatt stresses that Dr Farrugia needs to allow experts to provide their expertise, to ensure that the children’s interests are given priority. “This bill served as a breakthrough for these children, as it provided for stability. Why is the bill being changed if it was agreed upon by all concerned parties?” Mr Gatt questions. In permanent fostering, the child would live with the foster parents until they are 18 years of age, however in legal terms, they are not his parents. Permanent fostering thus provides the child with the necessary peace of mind, security and stability which are so important for all children and adolescents. In temporary fostering, every six months, the Advisory Board for Children and Young Persons may decide that a child’s care plan is changed and the child is to be reintegrated back with his or her biological parents. While NFCAM acknowledges that this should be the recommended plan for a number of children, it stresses the importance of having clear timeframes after which the decision of reintegration is no longer considered. However, Dr Farrugia’s position on permanent fostering has changed more than once. In the first with NFCAM he said that he is against the concept, later he said he is considering whether to add it to the bill. “After a while it is the children themselves who start asking whether they would be living with you on a permanent basis, and foster carers do not want to put their hopes up. For some children, adoption is not the best option, and that is where permanent fostering comes in,” explains social work assistant lecturer and foster carer Daniella Zerafa. A number of studies have highlighted the benefits of permanent fostering. When children move from one home to another, they are unable to maintain a stable relationship, even when they are older. In a children’s residential home, the children wake up to find one carer and then have another in the afternoon. The Association argued that not enough assessments are being carried out when the decision to reintegrate children is taken – psychological assessments of the children’s relationship with their biological parents and their relationship with their foster carersshould be the basis of such a decision, but these assessments are not being done . “Thus what foster parents take years to build can be destroyed at the stroke of a pen,” Mr Gatt says. “When a child does not have a stable environment, he or she will find it very difficult to thrive. There is the need of a stable relationship with an adult – there needs to be someone overlooking their educational and psychological progress. For a child to be taken away from their biological parents the situation would have to be very bad – it would be a desperate situation. For this reason, the children being removed from home are few. Therefore in the same manner, for them to be returned, there needs to be enough assurance that it is for their best,” Mrs Zerafa adds. “We do support assistance given to families so they will be able to offer stability and security for their child, however there are some families who do not accept help, do not admit that they have difficulties and who therefore do not commit themselves to work on their issues. It is in such situations that children often end up in foster care. In comments to the media, Minister Farrugia argued that he does not want foster parents who stop the children from visiting their biological parents. “Visits with biological parents need to be managed very well. If the child has been removed out of the house because of abuse, why do visits start immediately every week, before the situation is eased? We can completely understand that it is difficult for the biological parents to have their children taken away from them, however we need to keep the child’s interest a priority,” Mrs Zerafa adds. Dr. Olivia Galea Seychell recently published her doctoral study about the readiness of fostered child and parent to visit each other, after the child is removed from home. “You might have a parent who is not willing to cooperate or pass the right message to the child and this will provide unnecessary anxiety to the child. If the visits are not managed well, the child can revisit the traumatic experiences he had before,” she says. At present, around 220 individuals are engaged in fostering, however, social workers are struggling to keep up with the workload. “How can a social worker stay in contact, when she has to handle 30 cases at once? If no regular contact is possible how can an adequate assessment be carried out, then how is the decision to reintegrate children being taken?” Mr Gatt questions. Couples interested in fostering are provided intense training beforehand, but the association stresses that there should be on-going training during fostering years. Foster carers are provided a €10 allowance per child every day, however this does not even cover meals. “We are not asking for money, however we feel that foster carers are not being appreciated enough,” Mr Gatt says, adding that authorities would spend much more to fund children in residential homes than in foster care, apart from the home environment advantages offered in foster homes.